When the going gets tough, the tough make a quilt. Really, when I feel stressed I sew to clear my head. I'm sure many of you do that too. I talked to Sandi a bit ago about sewing and how it helps you deal with potholes in the road of life, small or big. (Speaking of Sandi, you've gotta check out her latest blog post and see the cute wool cupcake she won in a giveaway, it is so cute!) This quilt is one I just sat down and made without much planning. Its very simple, which you can see. I made it out of super cute happiness Japanese fabric (well most of it anyway) and just playing with the fabrics is enough to make anyone anyone feel good. Its kind of small, youth bed size, and I have no plans for it except it was just fun to make something easy and quick and enjoy the colors and prints of the fabric. I used this cute Park Slope fabric for the back. It isn't Japanese but I thought it went with the little bee fabric in the border of the quilt - the same fabric from our blog header. I've been looking for a good reason to use that fabric. Speaking of fabric. Have you seen this, or this, among others? Wowie, gotta love them. Sandi Henderson's latest is pretty fantastic too. I am having a hard time deciding which color way I like best, today it's the orange group, maybe because I feel fall in the air at night these days. Anyway, making a quilt is good for the soul. Know what you mean about sewing. I find it to be very healing. Especially when the rest of life is out of control. I think I like your backing fabric best of all! I agree that quilting has a way of taking us away from life's troubles. It's one way I justify buying fabric. I feel it's far less expensive than therapy and I actually have something to show for it! What a happy quilt! Yes, sewing definitely is good for what ails us. Love your fabrics. love this quilt! it's fantastic, and I am with you on the sandi henderson's farmer's market. I can't decide what colorway is best! oh i totally agree that quilting is a form of therapy. you made a very, very nice quilt. i hope that things, whatever they are, get better for you. Thanks for the Tessa Love! She also says thank you! Stitching, be it quilting, knitting, whatever, is completely therapeutic for me. Sometimes it's almost hypnotic -- a great way to let the tensions of the day go. 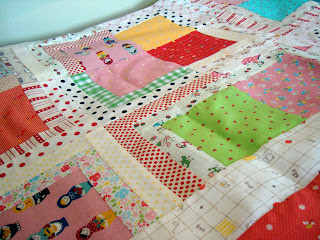 Love your quilt -- it's SO cheerful! You knocked that quilt out just to DE-stress?? I am impressed! Very cute. I like the Japanese fabrics when I see others use them. I don't have anywhere to see them in person though, just online. In the Recess line I tend to gravitate towards the reds and blues and I LOVE 1974. I have been eyeing that one for quite awhile at Moda's site. You're so inspiring the way you can just "throw" things together! I love the fabrics that you linked to. 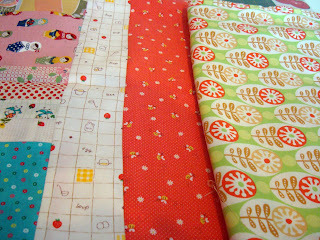 All the new fabrics just boggle the mind -- I love them all and can't possibly sew fast enough to get them all! ooooo.. I love these cheery Japanese fabrics too.. and the Park Slope. Very beautiful. I totally agree about the relaxing soul-soothing benefits of sewing. It really does wonders for my spirit when I'm stressed out. :) And, oh-my-gosh, what a wonderful quilt! So many wonderful colors and prints. 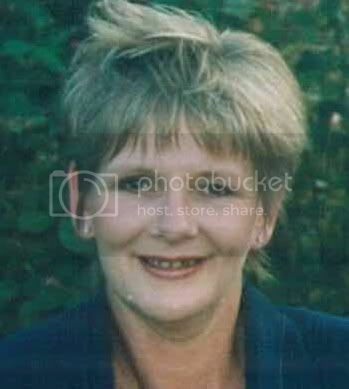 it's very cheery Nanette! It makes me smile just looking at all the color and patterns! Yes! I always have to sew something when I'm stressed, it is such an outlet...it's my therapy--I was going to say cheap therapy and then I realized that actual therapy with a therapist would most likely be much cheaper than my fabric buying habit lol! definitely good for the soul. simple maybe for you...impressive to me. hope all is well. 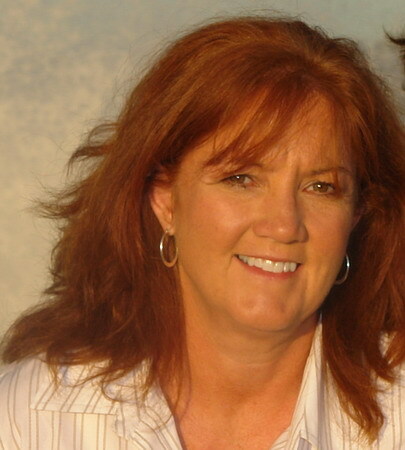 Thanks for visiting my blog today--it was kind of Rhonda from Rose colored glass to introduce my blog to her friends. Do you sell your quilts? I found one I would love to have---but I love them all.